Doctor Who is the longest running sci fi show in history. It first went on the air in November 23, 1963, a year before Star Trek hit the airwaves. This year celebrates its 50th anniversary, and below are some videos of how that celebration will be… well, celebrated. Not only will the special be broadcasted on television, but it’ll be in theatres and then released on DVD two weeks after. 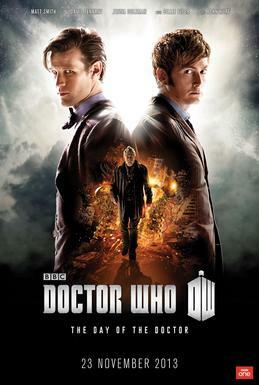 We get to see the current Doctor, Smith, join forces with the fan favorite 10th Doctor, Tennant. Fun will certainly be had by all. I have a couple thoughts as to what this special will be about, but they might be spoilers. This entry was posted in Events, Movies/TV and tagged day of the doctor, doctor who, doctor who 50th, sci-fi on November 11, 2013 by Eugene.